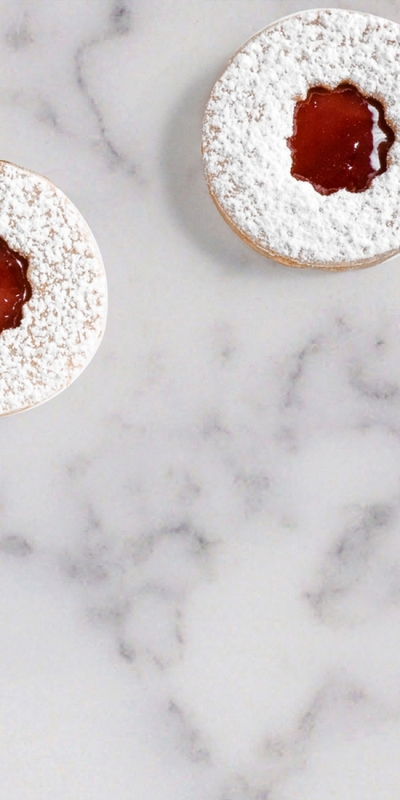 A new line of AQ Stone quartz surfacing material that features marble-like aesthetics and vast veining flowing through each design. Clean and radiant white symbolizes purity and perfection. Beautiful decor in smoky shades reminiscent of natural white marble. Gentle marble-inspired decor featuring delicate veining in supbtle shades of day twilight. Soft textures, muted veining, warm hues and expressive color transitions, convey a sense of warmth and serenity. Deep and seductive slate gray with delicate veining in charcoal and copper feathered with hint of gold. 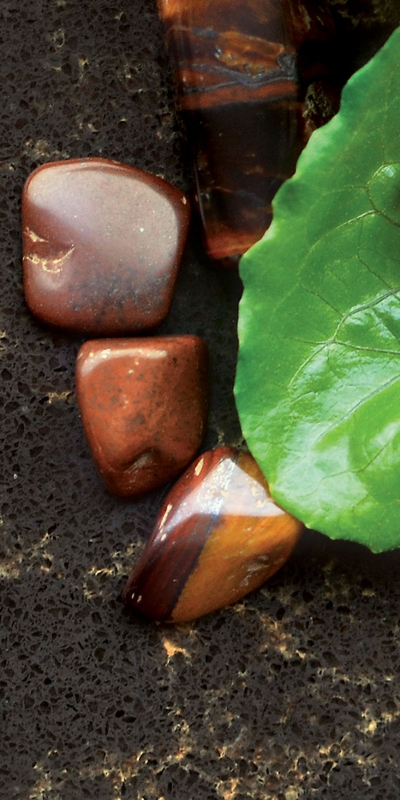 Rich, natural and brown tones with intricate splashing veins in sand and bronze. This decor comes as a refined interpretation of Calacatta marble featuring a soft marbleized white base with well-defined cascading veins in golden-beige hues. Another decor inspired by the beauty of the Italian marble - Calacatta Silver features large silver-grey veins streaming across a softly muted-white base. AQ Stone surface is almost inapplicable for bacteria growth and reproduction - a notion that makes AQ Stone ecologically and hygienically safe material. AQ Stone is a non-porous material, so it's highly resistant to stain, moisture, and colored pigments. 95% of AQ Stone composition is a crushed natural quartz with a small supplement of polyester resin as a cohesive component. AQ Stone surfacing material is manufactured under strict ecological standards, and after its expiration it may be recycled. 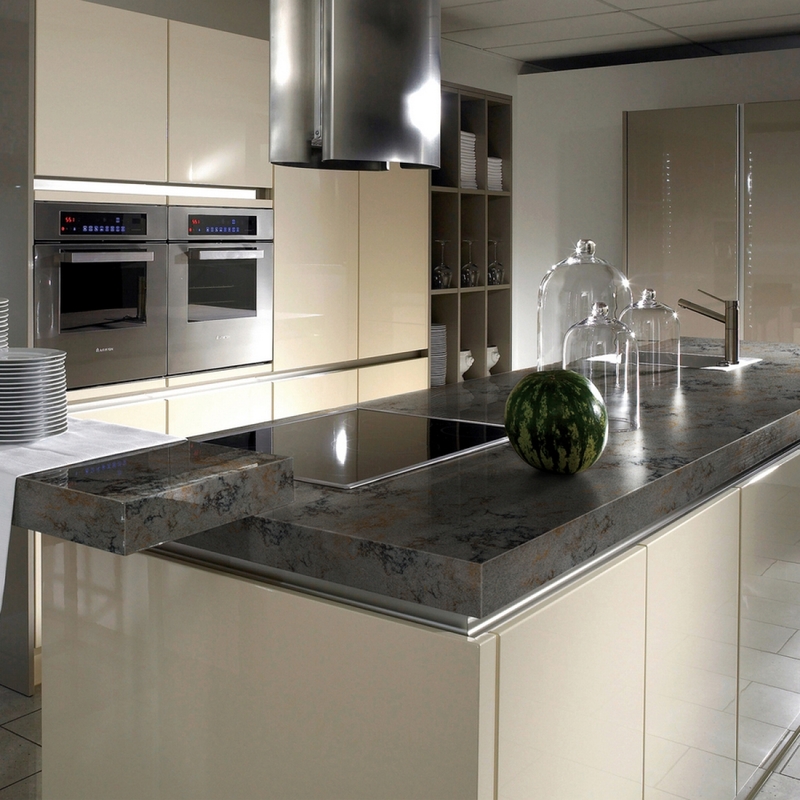 AQ Stone surface is chemically inert to substances which may destroy other materials (i.e. aceton, oil, bleach, acid, or alkali). 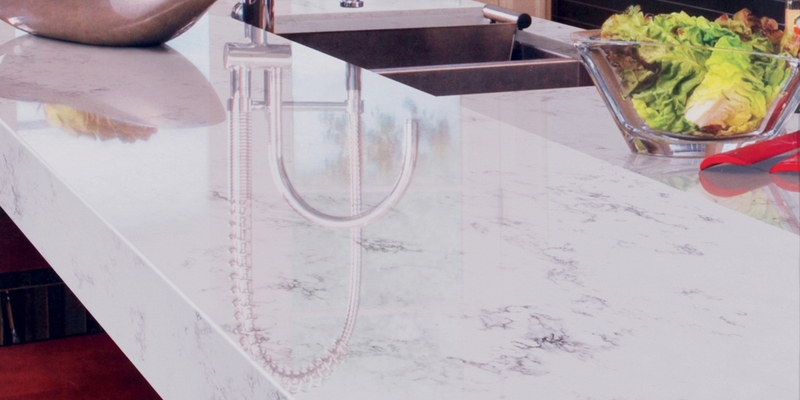 These agressive substances won't leave any traces on the surface of your AQ Stone countertop. 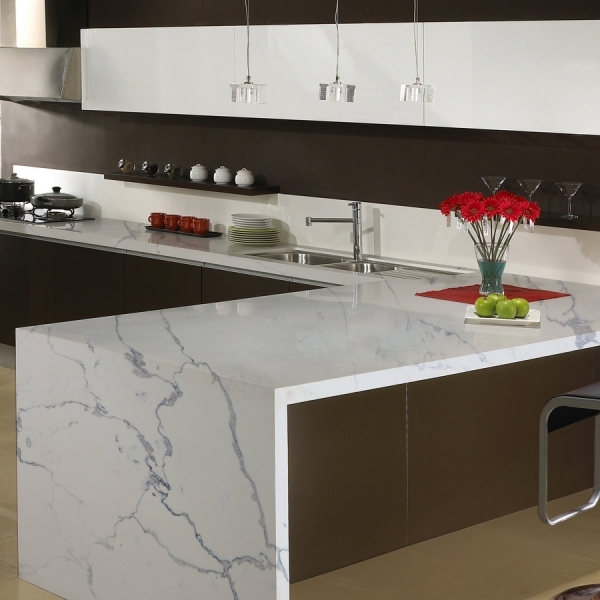 AQ Stone quartz is resistant to hits, scratches, high temperatures, moisture, fungus, and mold. It is inert to physical, chemical and thermal impact, it is fire-resistant. The AQ Stone limited warranty is 15 years. AQ Stone surfacing material is characterized by superior hygienic features and is recommended for installation at facilities with high hygienic requirements (i.e. food-cooking areas, child care centers, health care facilities, sport and recreation facilities, etc.). 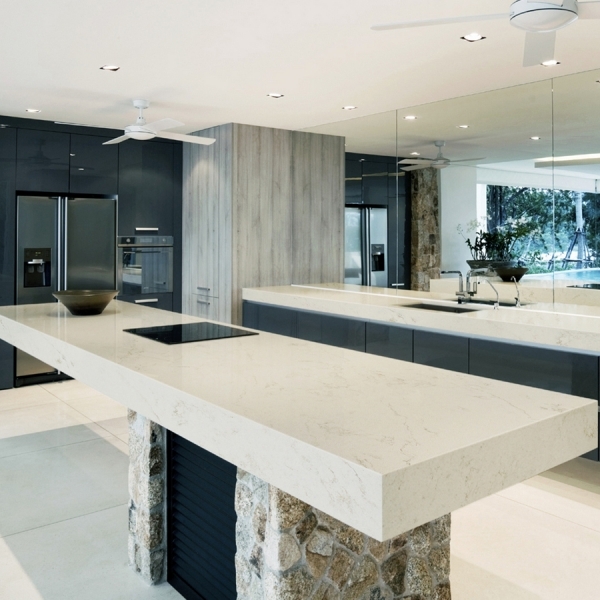 Unlike natural stone (granite or marble), quartz surfacing material is a non-porous material, there is no microcracks in it. This feature does not only protect the countertop surface from chipping and cracking, but it also guarantees a perfect cleanliness of the surface. 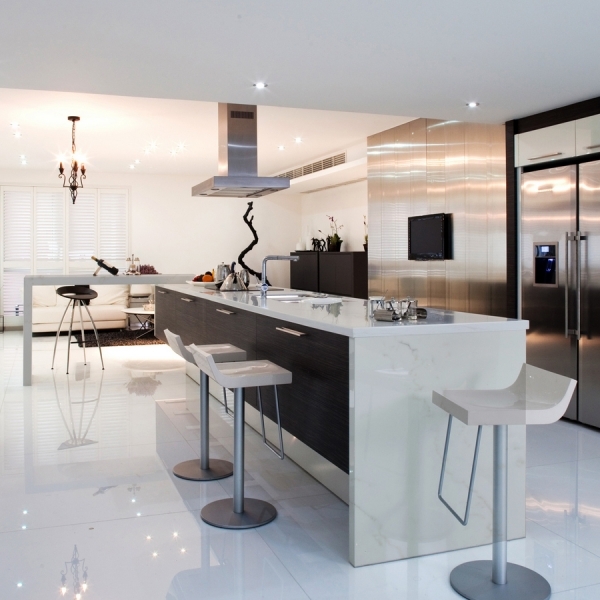 AQ Stone hardness features are far superior to manmade surfaces and natural stone like marble or granite. Quartz concedes the hardness leadership only to diamond, topaz and corundum. AQ Stone official limited warranty is 15 years. 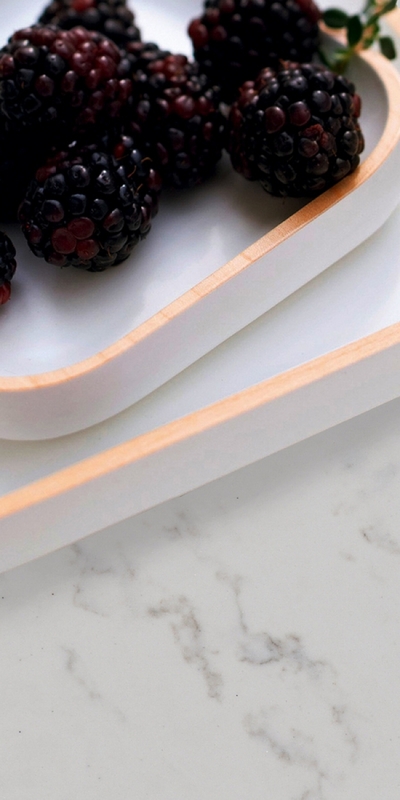 In practice your AQ Stone countertop might serve you much more - up to 50 years! 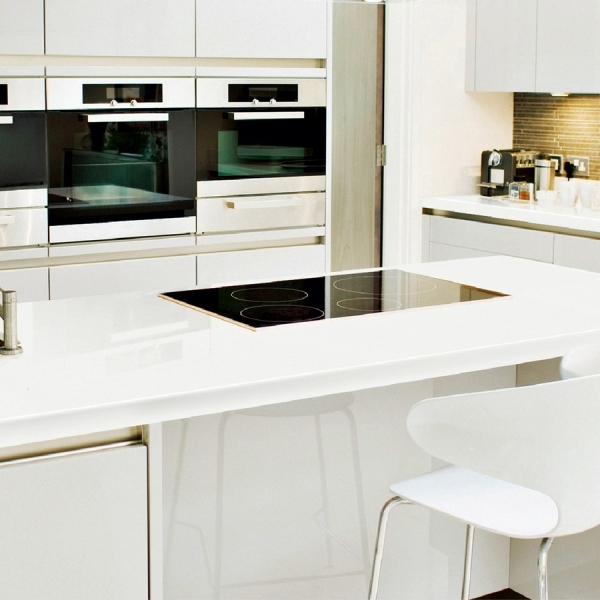 AQ Stone quartz surfacing material has the highest fire resistance class. It does not burn nor emit toxic components while heated. 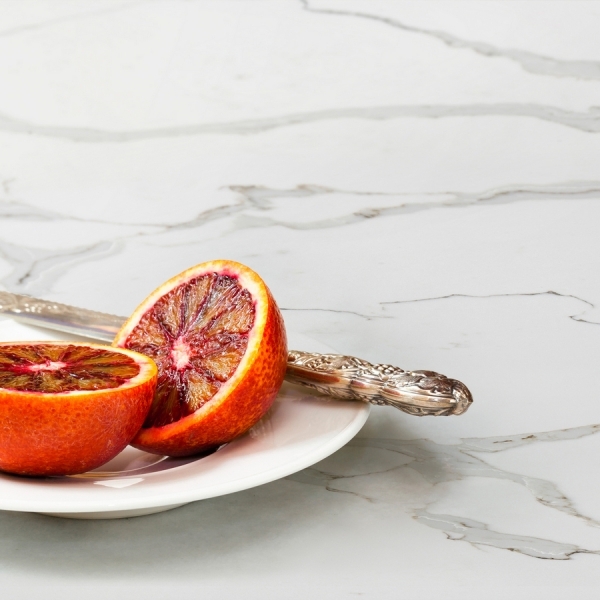 With AQ Stone countertop you may be sure its color will be consistent and stable. From batch to batch, the AQ Stone slabs have no difference in color and vein pattern. 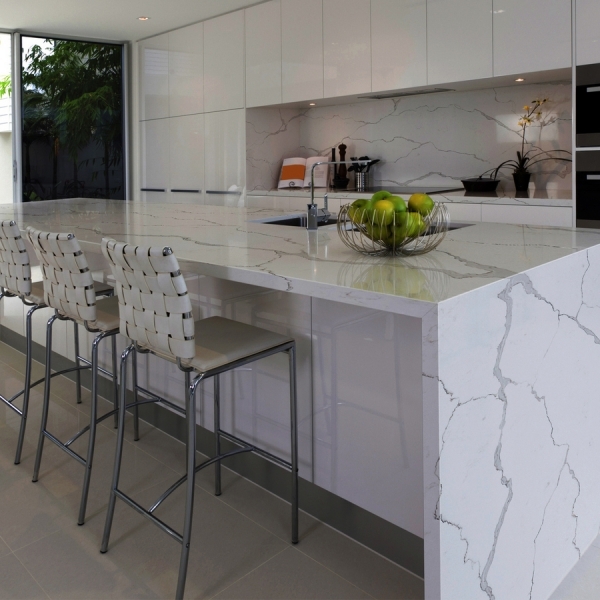 AQ Stone quartz combines perfect quality and attractive price. It is for the first time in history when a manmade material managed to flawlessly match an absolute beauty of nature. 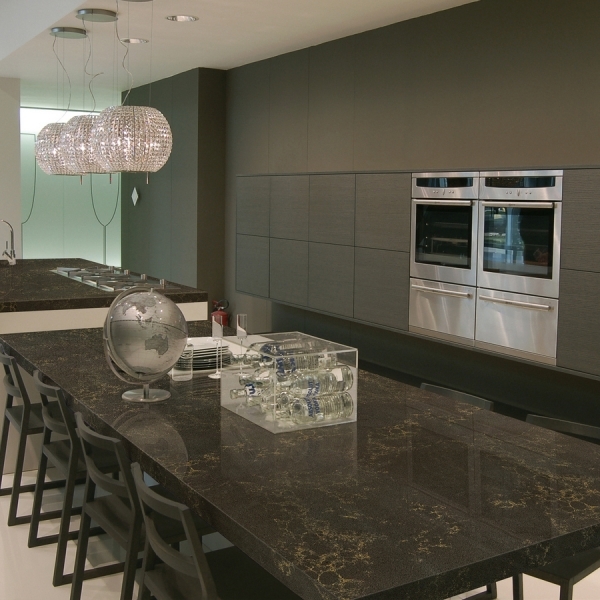 AQ Stone perfectly suits residential interiors, i.e. kitchens, bathrooms, wall decoration, cabinet facades, stairs. AQ Stone is a perfect surfacing material for interior decoration and countertops in hospitality sphere. AQ Stone is oftenly used in decoration of shopping malls, restaurants and cafes, airport and different transportation facilities, concert halls, museums, sports facilities, and theatres. AQ Stone surfacing material is a modern and innovative solution for surfacing and decoration within large architectural projects.